Mother’s day is a much bigger deal than Father’s day. Why? Well, there’s just something extra special about mom (sorry Dad!). 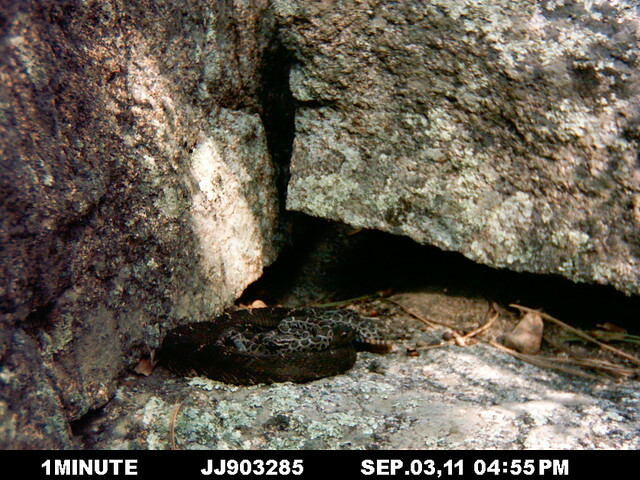 So, today’s post is about an under-appreciated group of moms (you guessed it), Arizona black rattlesnakes! squirrels, and clumsy humans with cameras… By the time they give birth, mother rattlesnakes likely haven’t eaten in weeks or even months, but they wait another couple weeks to give full attention to their newborns. So here’s to you rattlesnake mommies! For an explanation of the behaviors seen in that video, check out this post. What a beautiful family she has! Check out the full story of Sigma’s squirrel battles here. We’ve been lucky enough to see Woody and Alice with two different litters. Woody’s family, 2012. You can watch more timelapse videos of Woody’s family here and here. Every mom needs a day off. So the lucky (or smart?) 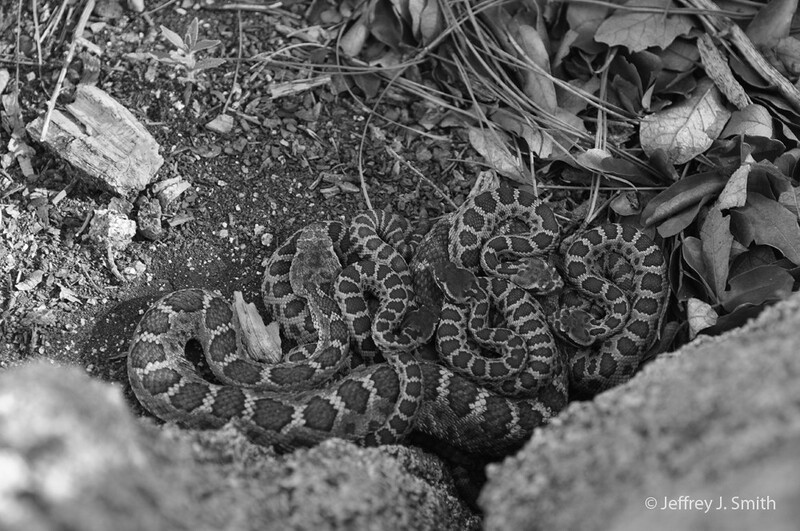 rattlesnakes that nest in groups help each other out with maternal duties. If one is still pregnant, and thus needs to be on the surface basking, she attend to the newborns while the new mother stays in cover for a well-deserved rest. Priscilla was the first rattlesnake we observed exhibiting this baby-sitting behavior. You can read more about Priscilla and House here. Male rattlesnakes occasionally help out in this way too. 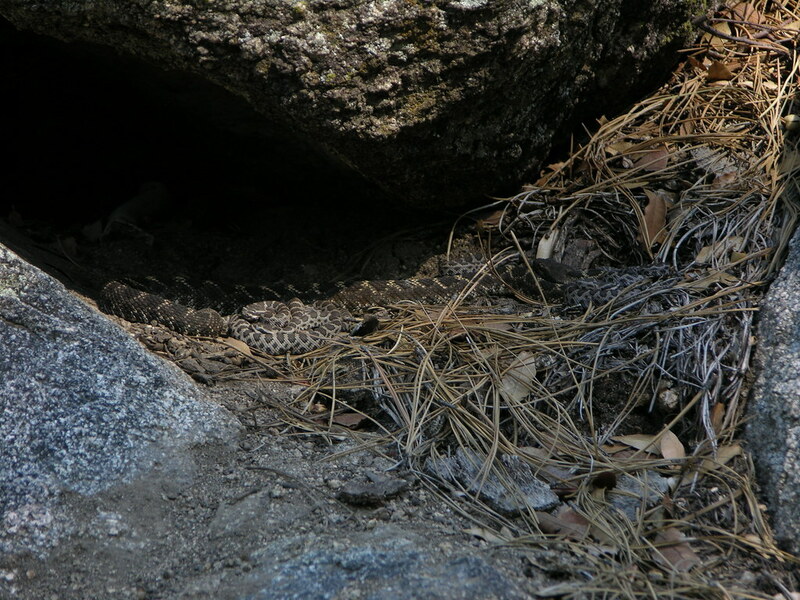 Although we’ve never observed any active care or protective behavior from males, just the presence of a large rattlesnake may be enough to deter some predators. 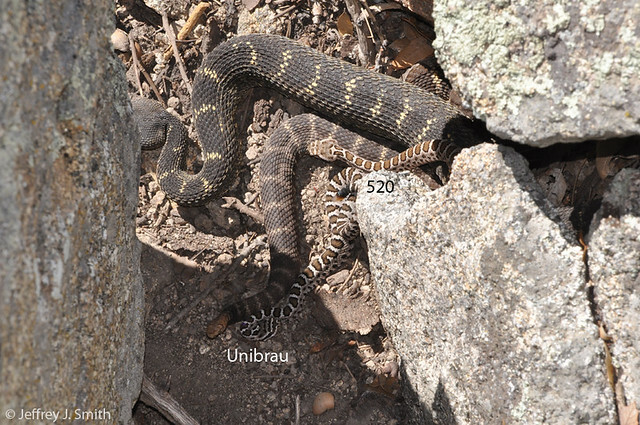 Green Male (adult male) is the large black rattlesnake at the top of the image and the mother (Devil Tail) is the smaller, brown adult (mostly her tail and rattle are visible). A handful of newborns follow Roger (adult male) out of the nest entrance to a preferred basking spot. Sometimes the youngest (smallest) mom gets stuck with the surface duties of caring for the newborns. Eve was the smallest of the pair of snakes that nested at this site; we saw her often on the surface with way too many babies to have all been her own. The older (larger) female was rarely seen on the surface with the newborns. 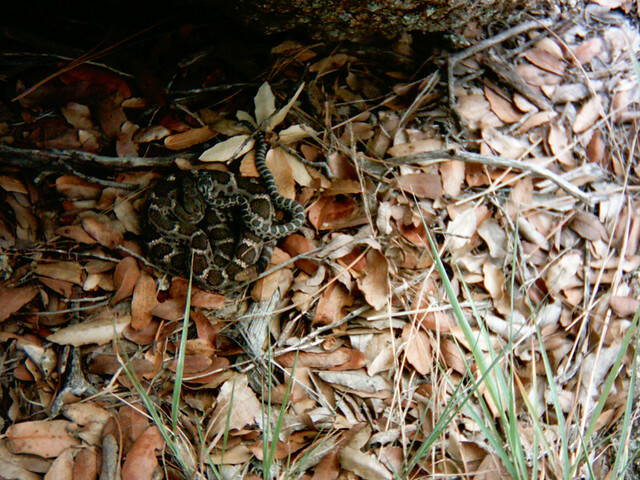 This is the first Mother’s day in years that we haven’t spent at dens with our rattlesnake mothers-to-be. 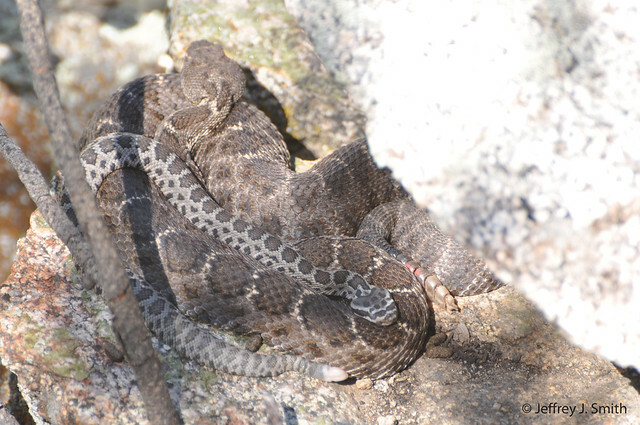 But, as of last week, two (Persephone and Luna) of our three Muleshoe rattlesnakes are still near their dens. 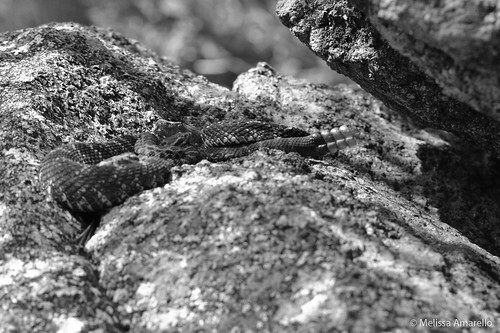 While this is atypical rattlesnake behavior in general, it is characteristic of pregnant Arizona black rattlesnakes. So maybe we’ll have a couple more names to add to this list next year!